The whitetail bucks really started to move November 14th despite the heavy rains that won’t seem to stop in NW Montana. Katie King made her way into the weather and snuck up on this buck at 20 yards. Not one to wait, she saw an antler and shot the buck in the shoulder. 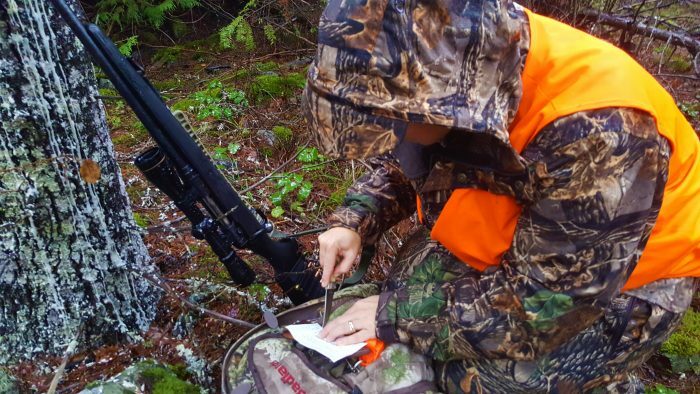 The heavy rain and thick timber made the trailing tough. She walked past it twice with her husband and on a third pass she saw a hoof sticking up from behind a log. The buck had only ran about 40 yards. 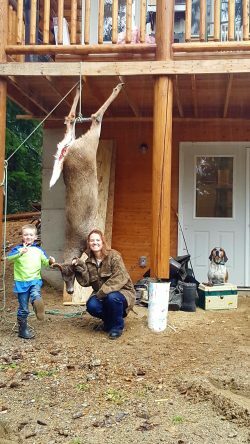 Her five year old son was able to get to the deer and help field dress it and said “I knew you could do it Mommy! We are a hunting family! Hunting is ALWAYS better with family! Congratulations Katie King!